One of my favorite things about reviewing is getting to try out products i wouldn't normally try. This week i get to play around with a #LeatherWorkDesigns 45 Piece Leather Craft Hand Tools Kit. This leather tooling kit is an ideal way to introduce just about anyone to the art of leather crafting. It comes with a wide variety of tools- High detail stamps allow beginners to personalize belts, wallets, saddles, or other leather goods, and grooving tools enable intermediate, expert and professional leather artists to customize their clothes and accessories in high detail. Leather earrings are really big on my Cameo silhouette group right now, and since i don't wear leather i was looking around for some alternatives. Turns out faux leather works just as good. i made a couple pair just using some scrap i had on hand. 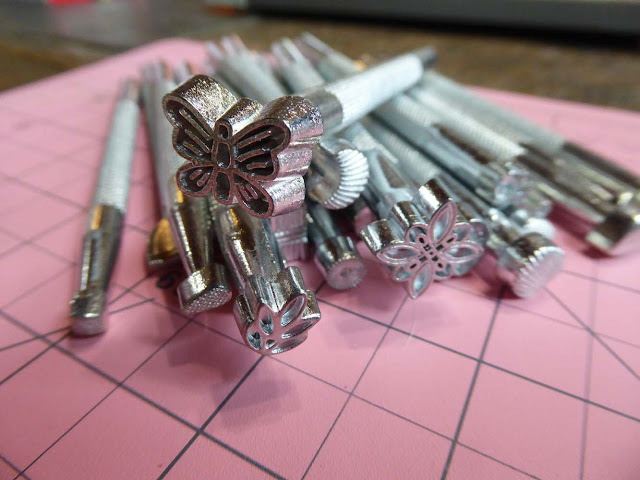 i already ordered some more faux leather to play around with, i'm not sure if the stamps will work on faux leather, but i watched a tutorial that used them on polymer clay to accessorize the faux leather creations which i thought was a pretty cool idea. 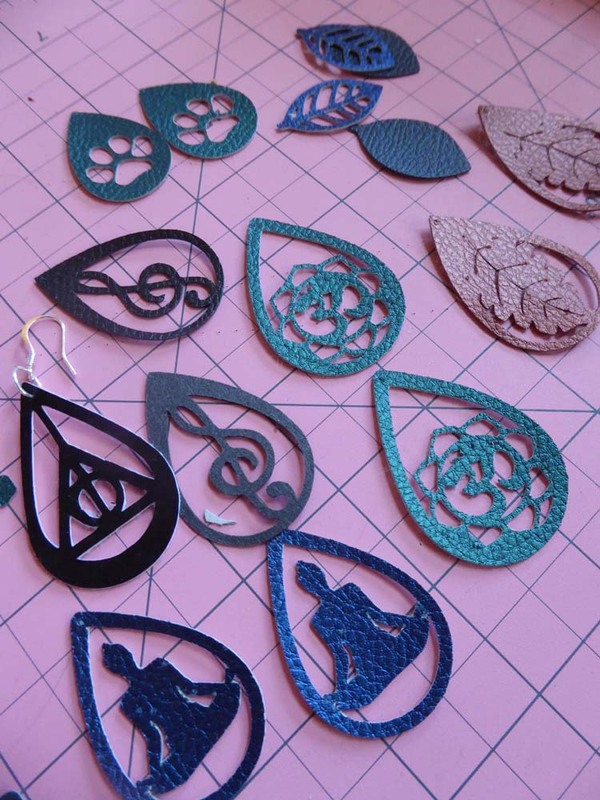 These are just a few of the faux leather earrings i made using the cricut faux leather. My next project is going to be a hand sewn pleather dice pouch for my boy. 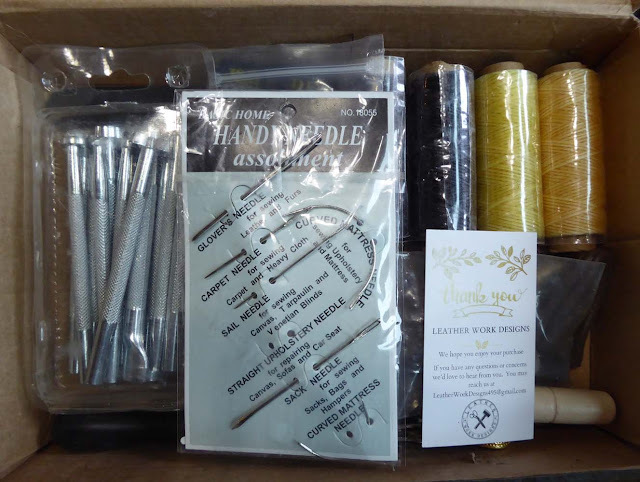 This kit has almost everything you need to get started! 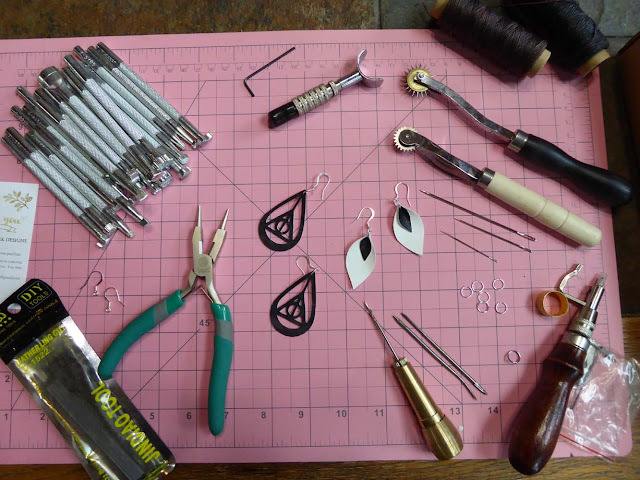 Last picture shows everything that's included in the kit, the pliers (first pic) are not included in it, i was using them on the earring wires. This is such a great set. You get so many tools for the money. I found it on Amazon http://zonly.io/dSOLp Can't wait to get started on my next project!